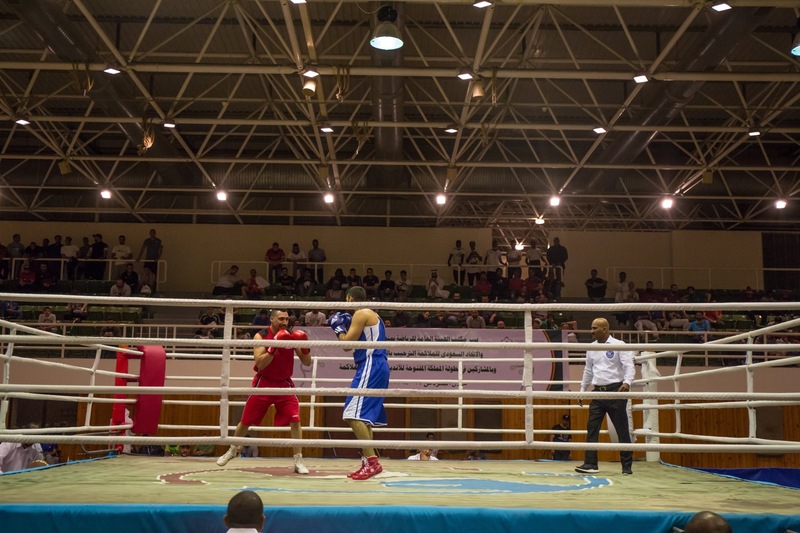 The Saudi Arabian Open Elite Championships was held in their capital city in Riyadh where record number of boxers attended. Saudi Arabia’s best super heavyweight (+91kg) boxer strong Nasser Talal Bawazer dominated his next national event and won his third-in-a-row title in Riyadh. Saudi Arabia is very active in the boxing map in comparison to the last decade and their best hopes are developed well in the recent years. The competition was open for the boxers who have been training in Saudi Arabia but does not have citizenship in the country yet. Riyadh hosted the 2016 edition of the Gulf Countries Tournament where Saudi Arabia ranked as No.1 in the regional event at the very first time. Following their Elite National Championships the next event was held in Saudi Arabia and this competition was the third in 2018. Altogether record number of 83 male elite boxers attended in the Saudi Arabian Open Elite National Championships. The Saudi Arabians returned to the international tournaments at the ASBC Asian Confederation Junior Boxing Championships in Puerto Princesa last August and the country has got strong strategic plans to develop our sport. The competition was preparation event for the upcoming international elite competitions and the main goal of the year, the Asian Games which will be held in Jakarta in August. The men’s light flyweight (49kg) saw a good final which was won by All Sports’ Sultan Bahabri who defeated Riyadh’s Issa Al-Omari. The second gold medal in the event was achieved by Riyadh’s Nawaf Khilifi who was too strong for Rayed Mabrouk in the final of the flyweight (52kg). Abdullah Hazazi won his first national title in Riyadh who defeated Fighter Corner’s Samir Hamoudi in the final of the bantamweight (56kg). Abdulhaq Al-Hamri and Damak’s Khalid Khabrani won the next titles in the Saudi Arabian Open Elite National Championships. 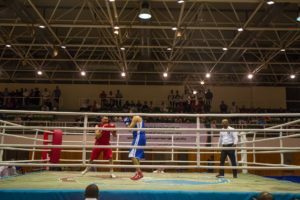 Khabrani was able to beat with strong performance the defending National Elite Champion Ahmad M. Manshi in the final of the light welterweight (64kg). Abdul Karim Zridi was silver medallist in the 2016 edition but this time he was able to win the gold of the welterweight (69kg) this time following his triumph over Riyadh’s Mousa Housen Maishi. Mohamed Ahmad Moqdad of Arina Club won the title of the light heavyweight (81kg) at the Saudi Arabian Open Elite National Championships and he was able to win his next gold at the middleweight (75kg). Mahmoud Issam Aqel achieved silver medal at the light heavyweight (81kg) of the 2017 Saudi Arabian Open Elite National Championships which he changed into gold in the new edition in Riyadh after beating Badir Sabir. Hisham Amaq won his first national title in Riyadh at the heavyweight (91kg) following his close triumph over Nabil Hothy. Saudi Arabia’s best super heavyweight (+91kg) boxer Nasser Talal Bawazer was named as the Best Boxer of the 2017 Saudi Arabian National Championships and the Makka-based boxer secured his next title in Al-Qasim City a few months ago. The strong boxer won his third-in-a-row title in Riyadh where he was too strong for Noureldin Lafrouji.